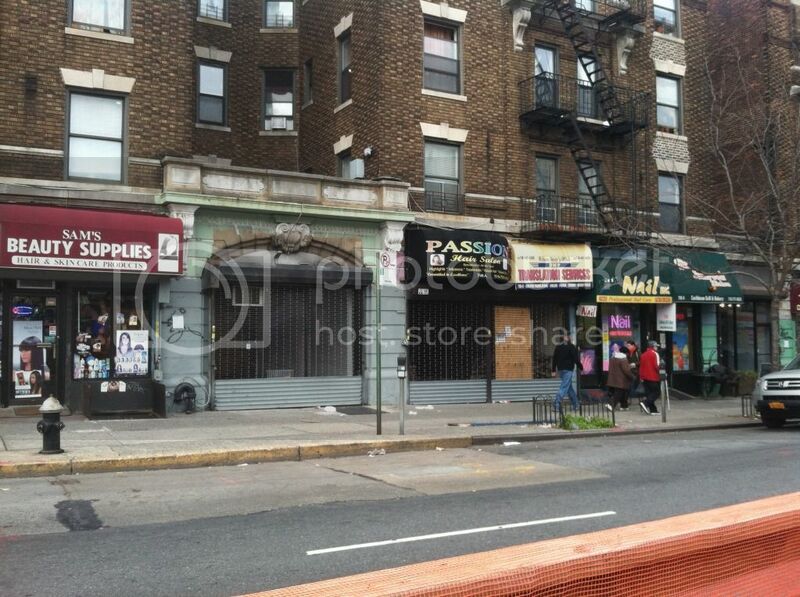 Falafel place coming soon to the nabe. Franklin is becoming a one stop shop for everything. Keep the exciting news coming. Looks like its shaping up to be a great summer with all these businesses popping up. Just a thought but I'm holding out for a pet store and a really nice bookstore on the ave and I would be even happier! Businesses that are just now entering the area are most at risk of closure, because they are paying comparatively higher rents than businesses that opened just a few years ago. I'll do my part by eating Falafel. I should add that the article says rumored, however, hopefully not too far off. A gyro place would work as well. I'm behind the gyro and falafel all the way. This place sounds like it will be vegetarian, possibly even Kosher. Does anyone have a rumor as to when or whether this is still happening? Confirmed ...it is still happening. Animal clinic coming to 753 Franklin Avenue. Stay tuned for details. Hummus Station was granted CB8 support for a beer and wine lic in Oct.
....it will feature 22 seats, 8 of which will be stools at a bar. Construction continues to move along nicely. Hummus Station is being opened by the owners of MySpaceNYC Realty. It's not MySpaceNYC renting the space to the restaurant, it is MySpaceNYC opening the restaurant on their own. Their greed knows no bounds. If you do ever consider eating there, please realize you would be fueling MySpaceNYC's efforts as they continue to exorbitantly raise rents in this neighborhood. Surely you can satisfy your hunger elsewhere - somewhere that wouldn't require you to swallow your own conscience with every bite. At the very least, you should know the hand that feeds you. If you want to know more about Hummus Station and the people who will own/run it, stop into MySpaceNYC realty and talk with Guy or Rob. See what you think. I trust MySpaceNYC to make good hummus. Hummus is not that hard to make, but I must try anything before I know whether it is good. So, once they open, I will either ask fellow contributors if it is any good, or spend approximately $7 of my own money to see for myself. I predict I will be served by employee making between $7 and $10 an hour. I predict the manager will make more than the employee, for work that is less arduous. As a result of being owned by their operator, I predict that they will have to pay less for occupying the space than they otherwise would, but will have to cover Opportunity Costs. While I wish everything was cheaper (including residential rents, beer and hummus), I have grudgingly accepted that "fair" is determined by the amount I and others are willing and able to pay. As a result, I will not let others define terms like "greed", "conscience", and "exorbitant". I will define these for myself, just as others define them for themselves. If the hummus and beer are good, I'll be a regular. Sorry why not if its owned by my space I won't go. I suspect that much of the neighborhood won't go because they don't like hummus, and/or don't think it is worth the price asked. The Hummus Station merely needs ENOUGH customers who do patronize it. Hmm, it was somehow lost on me that this was to be owned and operated by MyspaceNYC. I still want to try some new Mediterranean, but unless it's mind-blowing, I'll probably avoid it. Boo. I find it weird that a MySpace employee (or a few of them) will actually operate a Hummus restaurant for any length of time. It seems more logical that MySpace would buy a commercial property and then rent it out, OR launch a business that it would then sell or rent to a proprieter for a profit. My sense is that prospective proprieters would be willing to pay a premium for a soon-to-open business with an approved kitchen and alc lic. If it has recently opened and can show an expanding customer base, that sounds even better. Hell, if I was a real estate employee, I would be willing to run a Falafel place for a couple of months just for variety ...I wouldn't "demand" a large portion of the profit that would be earned my employer from flipping it to a new owner. I don't know if MySpace is involved in the pizza place in anyway. Bump. Anyone have any updates? May 5, 2013: The Hummus Station (798A Franklin Avenue) is rumored to be opening within a week a two of its adjacent neighbor (the was to be a pizza place, but now becoming a Yogurt Place). The Yogurt Place now has a banner that says "Coming Soon". Hummus Station was recommended for a beer and wine lic by CB8. A little digging indicates, yup, they have filed for a beer and wine lic. As of today, May 11, 2013, it is presently in "pending" status. Hummus Station is rumored to be opening after Yogumoo. Plus, he showed me the space under construction next door--it's going to be a vegetarian hummus restaurant and bar! Rumor is this place will open by June 15. Saw inside, it looked lovely. Thier alc lic is still in pending status. The place next door (that was rumored to be a potential pizza place, but decided to become a frozen yogurt place) has already opened next door. June 18: Not open yet. However, the website is not yet up and running, and the alc lic is still in pending status. So, signs point to "not quite yet"
The new yogurt place is also operated by MySpaceNYC. If anyone doesn't know about MySpaceNYC, ask around. Both the yogurt place and Hummus Station have excellent locations, and the already-open yogurt place is quite good. I expect MySpace to put similar attention into Hummus Station, and thus believe it will succeed despite some people not liking it's established, large real estate business. The front of this restaurant is no longer behind plywood, and they were doing some detail painting this weekend. It has iron and glass work very similar to that of its neighbor, the Yogumoo place that is also owned by some of the MySpace owners. New hand-painted sign up. "Fez Hummus Bar"
Fez Hummus Bar (fka Hummus Station) and Docklands appear to be in the final weeks of prep work. If we see a fresh produce truck, we know opening is imminent. Patch wrote: Fez, a Mediterranean restaurant and bar is in the final stages of opening on Franklin Avenue between Lincoln and Eastern Parkway. Owner Ari Aviv, who owns the yogurt spot next door, says the spot will be a sit-down restaurant with falafel, hummus, a Tunisian grilled eggplant dish, and other vegetarian treats. Like the yogurt shop, Fez will be kosher. Aviv hopes to open within the next few weeks. This place and nearby Docklands remain neck and neck in the race to see which will open first. ...the winner is anyone's guess. The owner is still waiting for his alcohol license. The paper has been removed from the windows and one can now look in and see a ready-to-open restaurant. Staff is being trained tonight. We also have a liquor license that is now in active status! Wrong place Whynot... Don't be so eager to post. drat! I thought it was weird that the menu I found was not kosher! Hungry for falafel? It would be awful good to have a falafel now. This place is still not open. I am going to have to never use the word "imminent", and stick to the much more vague "soon". Rumors are it will have its grand opening on Sunday, Nov 17. It was actually open tonight when I walked by at 7pm, probably a soft opening then? But it was packed! The menu was posted by the front door, traditional Mediterranean fare, and it looked nice and cozy inside. Friends and Family of the owners usually pack soft openings. Contrary to the speculation above, they are not vegetarian: There are some fish entrees. Fez Hummus Bar features cuisine with a variety of influences stretching from Israel and Morocco to America. It's new Mediterranean food with a twist – adventurous, healthy and delicious. Our food will bring you an unexpected fusion of flavors and experiences. Try our authentic hummus on its own or choose a topping or two from the many options available. Pair savory falafel with wine from our unique selection or treat yourself to our Mediterranean version of fish and chips with a beer. Fez Hummus Bar is a place where everyone can feel comfortable. Come on your own, with a date, or share our communal table with your friends and family. We are eager to serve you – come and visit us soon! When I have the chance, I'll ask if they are Kosher. (One can serve fish and be Kosher). So excited to see that they are open! And the menu looks just about perfect to me--affordable and healthy and delicious! As far as being kosher, it seems to me that they are, in the sense that all the ingredients they use are acceptable to those who keep kosher, and most, if not all, of the wines are kosher as well. However, they do not seem to have rabbinic certification, at least as far as a I saw, so some kosher-observant people in the neighborhood will not necessarily feel comfortable eating there unless they personally know and trust the owner. Goldemi states: "Saw the windows papered up yesterday. They seemed to be slow, did they already shutter?" I also noticed that they weren't getting much business, but wow, that would be fast to go under.I haven't been yet, in part because I have a "middle eastern food" loyalty to Zaytoons on Vanderbilt. Agreed that Zaytoons is great. If Fez has already gone under though, I feel bad that I haven't at least tried it out. There are so many new places and places that I haven't checked out in a long time, it's hard to make it to the top of my list on the occasion that I have time to go out.. They put a lot of money into creating the space, so I hope that they are "retooling" and come back in a slightly different form. Those were my exact thoughts last night too. I remember how excited I was just hearing there'll be a falafel place. Then more excited when I saw the quality of the build-out. So its a bummer that they havent figured out the model, and hopefully just reconfiguring. I gave them a mediocre review, and advice, which hopefully theyre hearing from others and making the proper changes. The Yelp reviews seem mixed:http://www.yelp.com/biz/fez-hummus-bar-brooklynIt also didn't seem like it was "instantly packed", like some of the recent openings.This could be because people aren't that excited about their menu, and/or could mean that we are finally getting enough restaurants to meet the area's desires and means. Dnainfo reports that Fez is now closed. I ate there once and the food was incredibly bland. Asked for some chili sauce or something to make all the bland pastes on my plate have some zing. Too bad. I was looking forward to it. Even a cheap falafel place would have been preferable. Regine Restaurants, LLC, is now in the process of seeking the support of CB8 for a full liquor lic. And, here's when the CB8 SLA mtg will occur, in case you are interested in hearing more about it before it opens: Please be advised that the SLA & Sidewalk Café Review Committee will meet on Monday, April 7, 2014 at 6:30 PM at CNR-Center Light Health Care Center, which is located at 727 Classon Avenue, Brooklyn, NY (between Park and Prospect Places). Do you know if it's still the MySpace folks? From what I have heard, the investors in Fez sold their stakes when the business did not instantly fill and begin to make money. I believe this is a new entity, one which is considering leasing the space based on "open market" ads such as the one linked above, and contingent upon getting a liquor lic from SLA. That said, I have no idea if the investors have ties to MySpace. ....MySpace and the local restaurants utilize lots of investors. "sold their stakes when the business did not instantly fill and begin to make money"
Not being in the restaurant biz, is that really the right/best approach? I figured after all the cost of the buildout etc, you'd refine your model, do some marketing, SOMETHING in order to get the place filled. Or maybe some places just take time to catch on. Throwing in the towel so quickly seems odd, or if you have no faith in your biz, best to cut your losses I guess. I suspect a lot of money was lost on this adventure. One can definitely tell the experienced restaurant operators with lots of capital (i.e. Cent'Anni), FROM the newbies who have unrealistic expectations of instant $ and very little ongoing capital (i.e. Fez). BTW, I have heard the new place will be serving some variety of Italian food. BTW, the notice above tells people the mtg is on April 10th. However, the SLA subcommittee is where "the action is"; it meets on April 7th as noted above. The new owners appeared at the CB8 SLA Committee tonight. They are ok with a 2AM weekend closing time, and midnight weekday closing time. Their application was supported by the committee. They have no relationship to the prior owners. Is it still going to be Italian food? Italian? Centanni, the Classon, Bar Corvo....who else nearby doing Italian? Wonder how they'll be different to compete. If I were them, I'd cater to the families that are going to move into 341 EP. I'd second that proposal. Love centanni, but its just not set up for families with those darned high tables/stools. Barboncino and the Classon are nicely set for families....now just for Classon to start doing brunch. New place will not serve Italian. It will serve locally source Brazilian food. Their alc lic was supported by CB8 tonight. The title of this thread has now been changed, to reflect the evolution. yup. I am psyched. Something different. I talked to someone who knows the chef of the new place. He said it's not exactly Brazilian food, but will have a lot of meat on the menu. Dear chef, please have some argentinian sweet breads and blood sausage. molleja and morcilla. I'll be there weekly. "Bones & Tails" applied for a kitchen inspection at this address --- sounds meaty! hmmm, not the most appetizing sounding name. better than 'hooves and horns' i guess. I think this might be the new spot. The geo tag is in the spot where Fez used to be. shannapacifico@lilern we hope to be open by the end of June. Thank you for the support. We are super excited to be in the neighborhood. The owner doesn't seem to have decided on a name yet. interesting! experienced successful restauranteers from Manhattan coming to Crown Heights. Back 40 has been an East Village hot spot for years. Although i wish the new testaurany much luck and success, and i absolutely love brazilian food, I agree about the name not being very appealing in terms of a restaurant...makes me think "blood and guts"...Insta-turn-off...Please re-think to something more appealing and/or "Brazilian"...I honestly think it would be a good idea...Bemvindo e Bom Sorte!!!! If they keep the name "Bones and Tails", it will help us cope with the loss of Nouvelle Vag. I guess that would be a testiculary, not a testaurany. What? NV closed? Where was this documented on Brooklynian?? As per a poster on the Coffee Shop Deathwatch thread it is to close by June 1. Before you ask, I'm not sure what, um, will fill it. Although less humorous, Boteco is a much better name.